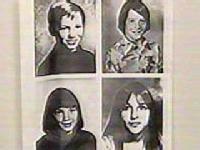 Twelve year old Mark Stebbins, of Ferndale, MI, was the first known victim of the Oakland County Child Killer. On February 15, 1976, Mark left the American Legion Hall, telling his mother he was going home to watch television. Police believe Mark was held captive for four days. His body was later found in a snowbank near an office building on February 19, 1976. Mark was fully clothed; he had been sexually assaulted with an object and strangled. He also had rope marks around his wrists. Posted on Thursday, February 5th, 2009 at 3:17 pm. Last updated on Tuesday, February 22nd, 2011 at 5:22 pm.